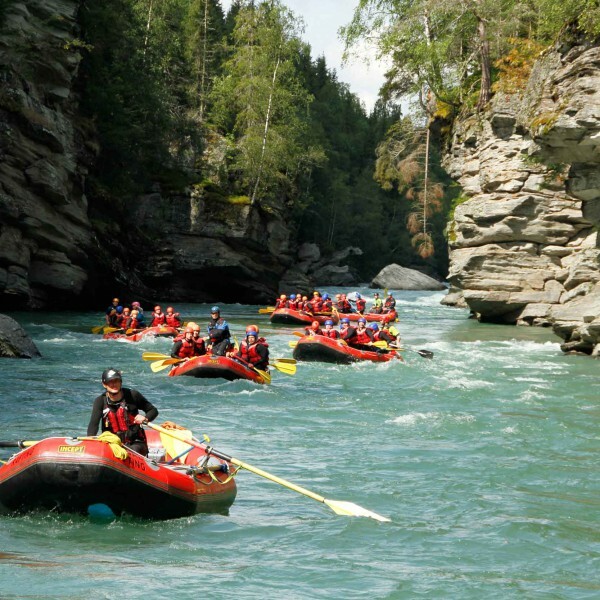 WEEKEND TOUR WITH HEIDAL RAFTING – EASY, POPULAR AND AFFORDABLE! When you are on a weekend tour with Heidal Rafting, you don’t have to worry about anything. Our activity packages typically include 2 daily activities and 2 nights in a 4-bed-room with a bath and mini kitchen. You can also have a double bedroom for an extra fee. A good Norwegian breakfast buffet is included, as well as a 3-course BBQ dinner on the evening of day 2. Of course, you will also receive lunch or a packed lunch for both activities. If you wish to reduce the price of the weekend tour, you can choose to sleep in a lavvo – a traditional Sami tent. Also, it is possible to remove one activity from your weekend tour if you like things simple. The packages are examples of what we can offer within a weekend tour, but it is also possible to switch out activities or add extra ones. Includes 2 nights, 2 breakfasts, 2 lunches and 3-course BBQ dinner. Includes 2 nights, 2 breakfasts, 2 lunches and a 3-course BBQ dinner. In general, we can work out all combinations when assembling a weekend tour. If you have questions regarding the weekend tour and the activity packages, just get in touch with us. We are happy to help you put together activities for a perfect weekend tour.